It's Back to School time and Staples has everything you need. I used to get antsy waiting for back to school shopping with my mother. This year, I am getting Kenzie ready for her last term at preschool before leaping into transitional-Kindergarten when she turns 5 years old on Christmas (if the school has space). She loves brand new school supplies and gets giddy just like me! Staples has an amazing assortment of everything one would need for school including exclusive products from Teen Vogue and Nickelodeon. They also offer 110% Price Match Guarantee, back-to-school Less List and weekly hot buys! It's one stop shopping for all your back to school needs and teacher gifts. Kenzie dove right into the stash of supplies and oohed and aahed. She gravitated toward the neat pencils and erasers. Everything is priced so reasonably at Staples that you can fill up on your child's school supplies as well as pick up additional for their teacher(s). I always hear of how there is a shortage of funds to buy supplies so it's a nice gesture to give to those professionals that are shaping your child's future. Especially with neat goodies from Staples. 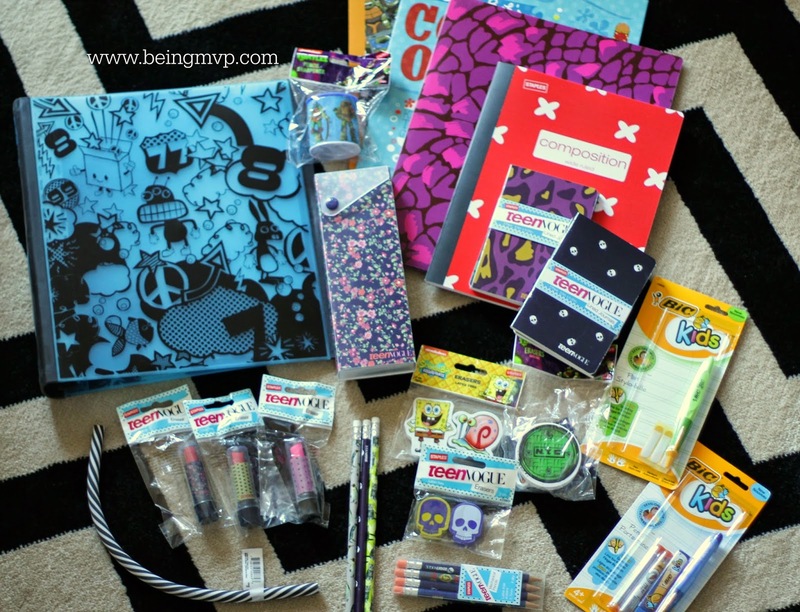 Since Kenzie's main teacher is pretty young, I knew she would appreciate some of the Teen Vogue school supplies along with a Staples gift card for a Back to School gift. One winner will Receive a $25 Staples Gift Card! I would buy Bic Mechanical Pencils, Composition Books, Staples Stickies, Bic Cristal Ballpoint Pens, Washable Glue Stick (purple), Crayola Colored Pencils, Crayola Markers, Crayola Crayons, Wide Ruled Filler Paper, and a couple of 1 subject notebooks. Sorry I would get all this for a friend of mine who has 3 small children attending school. Visited the site and I really like Sauder® August Hill™ L-Desk Collection for my son. I have several grandchildren heading back to school. I would get things to help their parents out. Colors, composition notebooks, lined paper, construction paper, pencils, pens, a little bit of everything!!! I'll get Jansport Digital Student Backpack, Purple Night/Mint Dots . I would get the Jansport SuperBreak Solid, Aqua Dash backpack for my daughter. I would get the Deflecto® Tilt Bin™ Multipurpose Storage and Organization System which would be used by the whole family. I'd get a pack of Sharpie® Permanent Markers, Fine Tip, Assorted, 12/Pack Item 463710 Model 30075C--for my son. I would get my son Composition Notebooks, Sharpies, Highlighters and a new backpack. I would get the Lexar 16GB JumpDrive TwistTurn USB 2.0 Flash Drive, Black for my daughter who is in college. We could use lots of things, notebooks, binders, highlighters, pens, markers! I would get the Staples® Siddons Managers Chair, Brown for myself. I would stock up on office supplies for the home office which would be used by the whole family. I would get notebook paper and a new back pack for my grandson! If I won the giveaway I would get a few packs of the 24 pack of the black Ticonderoga #2 pencils. I would get some Teen Vogue products for my daughter. I would get lots and lots of Sharpie Markers!!! I'd get Crayola® Washable Super Tips with Silly Scents, 20/Box for my son. I love the Benrus American Heritage Scout Backpack, Red. We're collecting back to school items for the kids at our local Ronald McDonald House. My first thought was comp books and pencils for my son. But then I realized we have those for him already! So I would donate the gift card to his 2nd grade teacher when we go to open house night and let her buy whatever items she feels her class needs that maybe her budget didn't allow for. I just placed an order with Staples yesterday; was the only place I could find a "primary" composition book for my daughter! I could also use some Scotch-Brite disinfecting wipes; I didn't realize I could get those at Staples. I would buy a paper shredder for our home office. I would buy the Texas Instruments® TI-SEC84+ Color Screen Graphing Calculator for my niece. I think the Timbuk2 Rogue Laptop Backpack would be great. I forgot to get my kids their composition notebooks so I would buy some of those for them. I would get ink for the printer for the many essays my daughter has to write. I think I would stock up on ink for my printer for moi! Honestly, there are quite a few items I would probably buy for my boys. Primarily, I would want to buy some folders, crayola twistable crayons, and ink for the printer for projects they complete at school and for my own classwork. 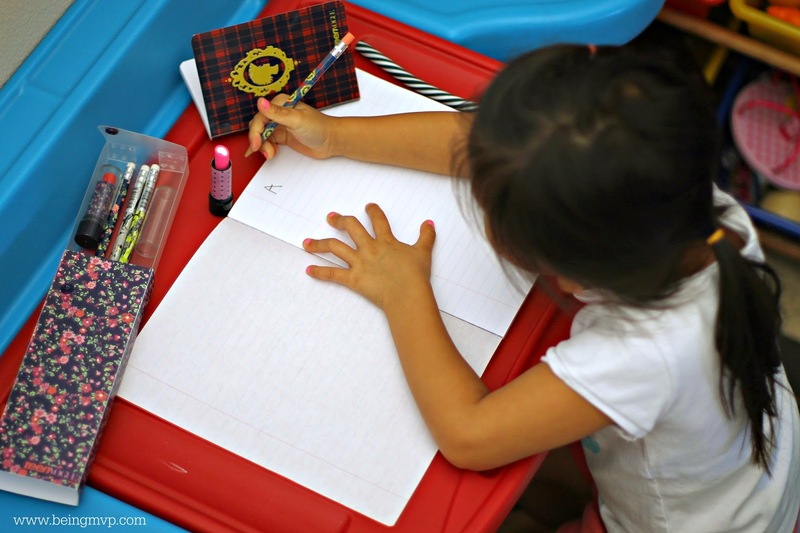 I would organizational desk accessories for my homeschool "office" to help me stay more organized this school year! The Martha Stewart cork boards are adorable! Oh I would love to get the ZipBin Hot Wheels Car Toy Backpack for Carter! Would be great for him starting preschool next week! I would get paper, pencils, pens, crayons everything my 3 oldest need for school. I would get the Jansport Superbreak Backpack, Multi Hairball. It has kitties all ove it. My daughter would love it. I would love to get the kindle fire for me!!!! I would also order some Dell black computer ink. Crayons and craft supplies for my sons classroom! I would get college-ruled Five Star notebooks for my sister and ballpoint pens for myself. I would get Dell™ 1160W Wireless Mono Laser Printer for my daughter. I would get the HP® LaserJet Pro M401 Printer Series for my husband. He has a home office and needs a new printer very bad! I would get the High Sierra Swerve Backpack,Deep Purple/Wild Thing for my daughter. I would use it towards a tablet that I want to get for my son for Christmas.